“One nation, one tax.” That is the concept of the new indirect tax passed by the Rajya Sabha. The Goods and Services Tax is one indirect tax for the whole nation, which will make India a unified and common market. GST is a single tax on the supply of goods and services, right from the manufacturer to the consumer. It will be levied at every stage of the production distribution chain by giving the benefit of Input Tax Credit (ITC) of the tax remitted in the previous stages. Therefore, the final consumer will bear only the GST charged by the last dealer in the supply chain, with set-off benefits at all previous stages. GST will replace all Central level taxes such as excise, service tax, customs duty as well as state level taxes like VAT, CST, entertainment tax among others. With the latest information suggesting that the minimum GST rates will be 18% on all products. Alcoholic beverages have been excluded from GST and they will be taxed separately. 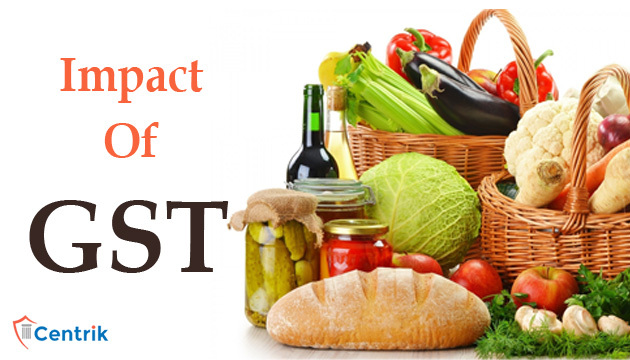 Implementation of the GST is said to increase the prices of agricultural goods. However, the products will be able to reach the consumer faster due to state-level taxes such as Octroi and entry taxes which will significantly reduce the time and hassle of transporting goods across state borders. GST will also favor the National Agricultural Market on merging all the different taxations on agricultural goods will improve the marketing and virtual market growth. Because GST is a consumption tax, it will be levied only when food products are sold by the manufacturer and not when they are manufactured. The Confederation of Indian Industries (CII) has also in its representation called for a zero rate tax on products which have a rate of up to Rs. 10/- and Rs. 20/-. It also demanded that all packaged material used as inputs by the food processing industry should have a zero-per-cent rate. Service tax liability with the credit of input VAT on goods consumed will get submerged into GST and irrespective of goods and services, the credit of input will be available for adjustment against the output liability. This will further optimize the working capital of these restaurants and consumers can expect the superior quality of goods and services. Centrik is an organization which is very particular about satisfying your business needs. We work with Values, Quality and Transparency. We would love to hear from you, anytime.